Our product range includes a wide range of magnesium sulphate, magnesium sulphate monohydrate, sodium bicarbonate, potassium bicarbonate and liquid jar cleaning chemical. 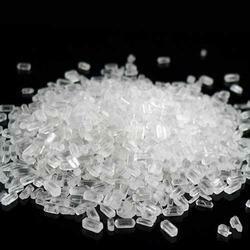 Magnesium Sulphate, commonly called as Magsulf, is an inorganic chemical compound comprising of magnesium, sulfur and oxygen. It is most commonly found in the form of MgSO4.7H2O which is also called Epsom. Chemtex offered product Magnesium Sulphate is used as a firming agent, nutrient additive, and flavour enhancer. It functions as a fermentation aid for the processing of beer and malt beverages. Additionally, it serves as a nutrient that is used primarily in salt-replacer products, dietary supplements, sports drinks, carbonated diet soft drink beverages, and fortified water beverages. 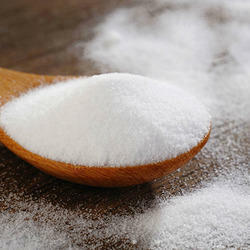 Magnesium Sulphate Monohydrate is an inorganic chemical compound comprising of magnesium, sulfur and oxygen. It is most commonly found in the form of MgSO4.H2O which is also called Epsom. Chemtex offered product Magnesium Sulphate Monohydrate is used as a firming agent, nutrient additive, and flavour enhancer. It functions as a fermentation aid for the processing of beer and malt beverages. Additionally, it serves as a nutrient that is used primarily in salt-replacer products, dietary supplements, sports drinks, carbonated diet soft drink beverages, and fortified water beverages. Sodium Bicarbonate is referred to a chemical compound with chemical formula NaHCO3. 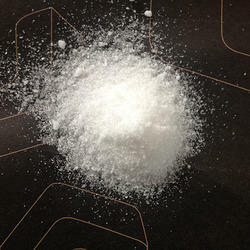 Sodium Bicarbonate is a white color solid, crystalline in nature but also appears as a fine powder. It is alkaline in nature and resembles washing soda. It can be administered to spas, pools, and garden ponds for enhancing the pH levels. It serves to be a disinfectant. Chemtex Speciality Limited is an ISO 9001, ISO 14001 and OHSAS 18001 certified company that specializes in the manufacturing of Sodium Bicarbonate (Food Grade) products. We aid you to endeavor for technical expertise and competence in troubleshooting to give you an optimum system performance. 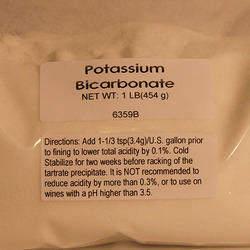 Potassium Bicarbonate or potassium hydrogen carbonate is a colourless, odourless, slightly basic salt.Chemtex Speciality Limited manufactures various salts of Potassium such as Potassium Bicarbonate, Potassium Carbonate, Potassium Chromate, Potassium Hydroxide, Potassium Sulfate, Potassium Bisulfate, Potassium Metabisulfite, etc to be utilized in various applications of different industrial sectors.It is used as a mineral for drinking water. It manifests itself as an antacid and electrolyte replenisher and also serves to be an alternative potassium supplement. It is used in foods as a leavening agent and a nutrient supplement especially for infant formulations.Additionally it exhibits as a processing aid in extruded foods, Foaming and fizzing agent in instant beverages. It accomplishes as a color preservative in the food industries. Chemtex Speciality Limited is an ISO 9001, ISO 14001 and OHSAS 18001 certified company that specializes in the manufacturing of Potassium Bicarbonate (Food Grade) products. We aid you to endeavor for technical expertise and competence in troubleshooting to give you an optimum system performance. CHEMTEX'S Liquid Jar Cleaning Chemical (External) is a concentrated blend of anionic surfactants and emulsifiers. 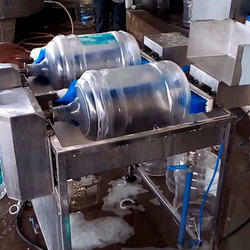 It is a high foaming liquid cleaner for general purpose cleaning applications in food and beverage, brewery, dairy and pharmaceutical industry. Looking for Drinking Water Chemicals ?